Read more by Steve Harrison at the Charlotte Observer. The Charlotte City Council endorsed a proposal to give the Carolina Panthers $125 million for stadium renovations with a 7–2 vote during a closed session meeting late Monday night, according to people familiar with the debate. Under the plan, a 1 percent tax on prepared food and beverages would be increased to 2 percent. 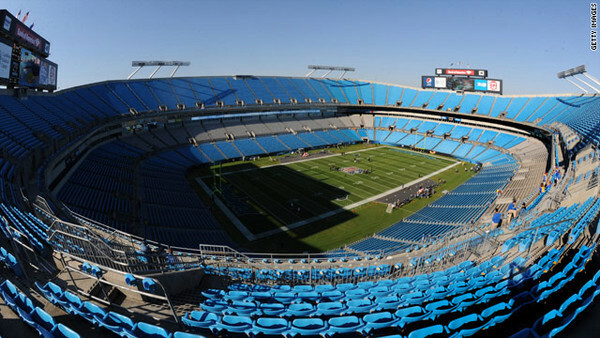 That money would help fund the renovation plan for Bank of America Stadium, the team’s home since 1996. Voting in favor of the plan — which still needs approval from the General Assembly and Republican Gov. Pat McCrory — were Democrats John Autry, LaWana Mayfield, James Mitchell, David Howard, Beth Pickering, Claire Fallon and Republican Andy Dulin. Republican Warren Cooksey and Democrat Michael Barnes voted no. Democrat Patsy Kinsey had left the meeting, and Mayor Pro Tem Patrick Cannon, a Democrat, abstained from the vote due to a possible conflict. Kinsey was reportedly going to vote against the plan before she left. Mayor Anthony Foxx, a Democrat, didn’t vote. He has indicated in the past that he supports helping the team.